Are you between 7 and 12 years old? 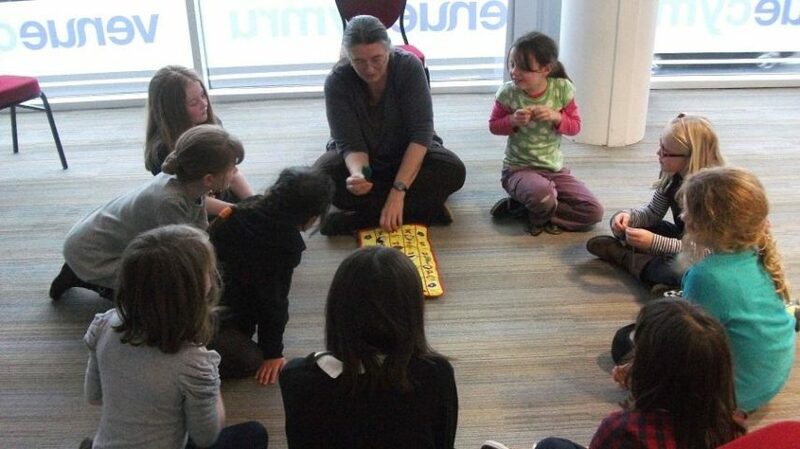 Do you love telling stories, acting, playing games and having fun? Story Circle members have told stories in Adain Avion (the Cultural Olympiad in Wales), in Llandudno’s Arts Festival LLAWN, at Llandudno Town Museum and RSPB Conwy, and have been winners in 2015 and 2016 in Young Storyteller of Wales at Venue Cymru. Story Circles meet once a month at Venue Cymru on a Saturday afternoon. Story Circles are FREE, thanks to support from Arts Council Wales and Llandudno Town Council.